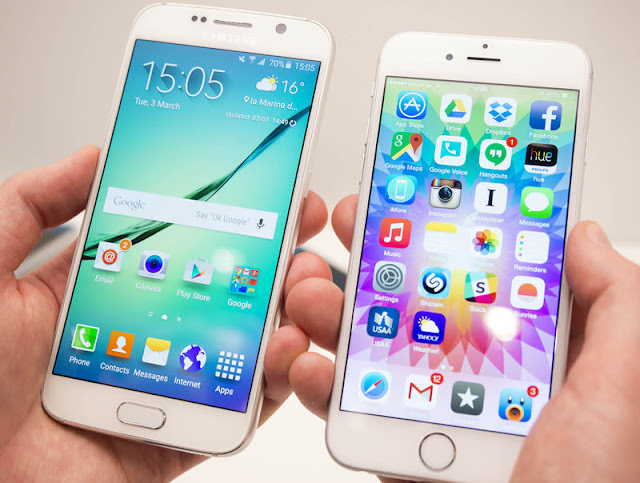 We are all aware of the heated rivalry between Apple and Samsung. These companies are competing with each other neck to neck in almost every aspect. Samsung is undoubtedly the biggest threat to Apple’s market share despite of its winning streak. Apple’s iPhone 6 is a perfect example of the competition the two companies are experiencing from each other in terms of design and technology of smart phones. A newly released Galaxy phone version offers a much larger display which is somewhat a forte of Samsung’s smart phones like the Galaxy Note; for quite some time. Apple VS Samsung who’s the winner? Owing to the same competition; Samsung has most recently announced a Galaxy Mobile that is going to be thinner than the iPhone 6. This is the thinnest phone unveiled to date. Not only is the Galaxy A7 thinner than the iPhone 6 but it also comes with metallic edges for additional value. The thinner mobile set is 6.33 mm while the iPhone 6 measures 6.9 mm. More evidence of the intense competition can be taken from the fact that the previous flagship of Samsung Galaxy S5 measured 8.1 mm. The two millimeters difference makes the competitive movie quite clear. The Samsung Galaxy A7 is going to be a relatively higher end version of the previously released versions of Galaxy A3 and Galaxy A5. The recently announced smart phone promises a good large screen of 5.5 inches which is similar to that of iPhone 6 Plus. The camera quality is apparently quite good as well considering the 13 megapixel rear and the 5 megapixel front camera. The thinnest Samsung Galaxy A7 is going to be made available in different colors of white, black and gold after its launch. The release date is yet to be specified by the company but Android lovers have already set their minds to the latest smart phone Samsung has to offer. The rumors about this yet to be released smart phone began months ago but Samsung has not confirmed any kind of information. The edges are going to imitate those of iPhone 5 and iPhone 5s with the chamfered metal material. The cost of the smart phone will definitely determine a lot including its annual sales. Though the present customer base appears to be more than willing to spend extra bucks for good value but as far as the Android market is considered, there are certain limitations as well. No words have been announced by the company in terms of the cost; however, there is good news of competitive pricing spreading. The release market location also plays a significant role in determining the future prospects of any device. There are chances of selective marketing in areas of China and South Korea but nothing can be said for sure until formal announcements.